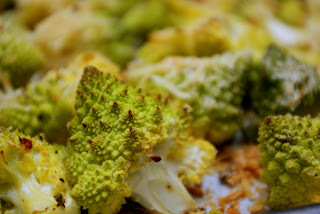 If you've never roasted broccoli or cauliflower, I strongly urge you to try it. Roasting caramelizes the sugars in the vegetables (yes, vegetables contain sugar) and results in a sweet, nutty flavour with none of the usual bitterness. Unlike steamed or boiled versions, which tend to be a little on the mushy side, roasting preserves some of the vegetable's texture. 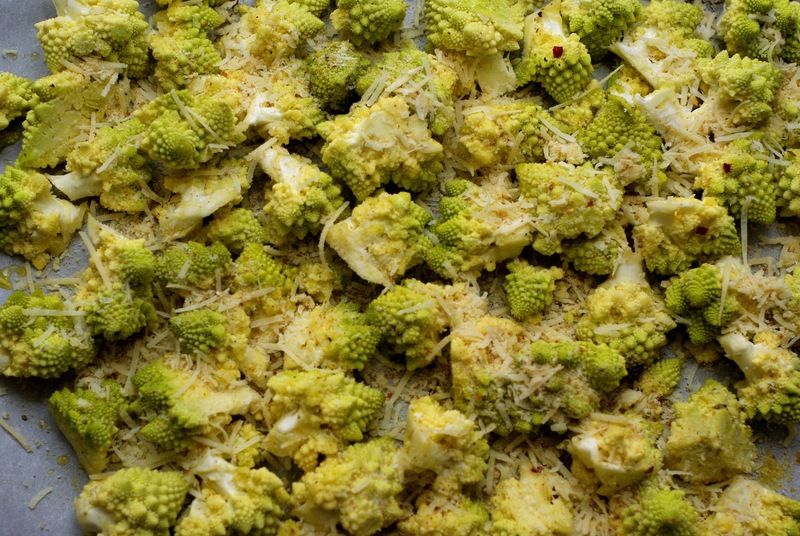 When Adam spotted this gorgeous Romanesco cauliflower at the market we knew we had to try it this way. 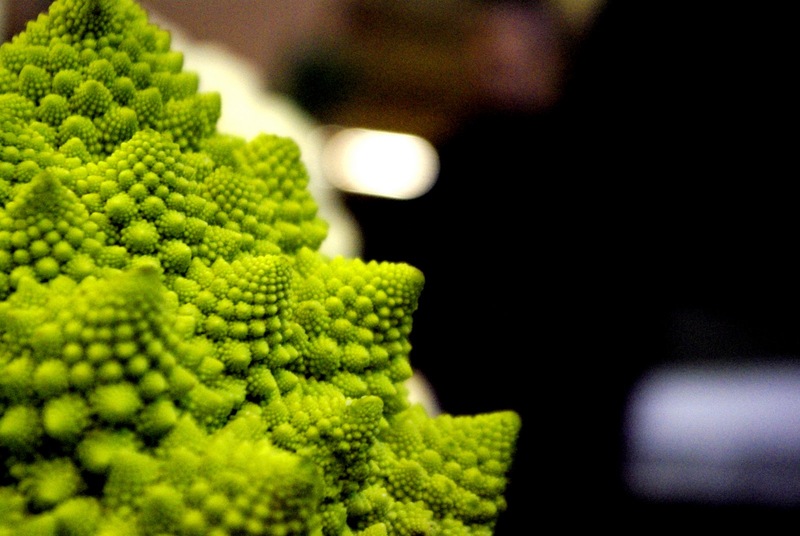 Romanesco cauliflower is somewhere between broccoli and regular cauliflower in taste and texture. It's unarguably the most beautiful of the three and I find it slightly sweeter as well. Adam would be disappointed if I didn't mention it's mathematical properties; the spirals on the head of the cauliflower follow the Fibonacci sequence, which basically makes this vegetable a big deal if you're a math whiz. All I know is that it barely made it on to the plate as the three of us scarfed it down straight from the pan. Preheat the oven to 400F and line a baking sheet with parchment paper. Remove the thick stems and base of the cauliflower and break the head into pieces. 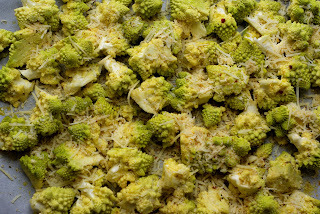 Toss the cauliflower with the olive oil, chili flakes, salt and pepper and spread out evenly on the baking sheet. Mix the bread crumbs and cheese together in a bowl and sprinkle over the cauliflower. Roast for 25-30 minutes until golden and fork tender. I've seen this cauliflower in markets and always wanted to try it. Nice work!